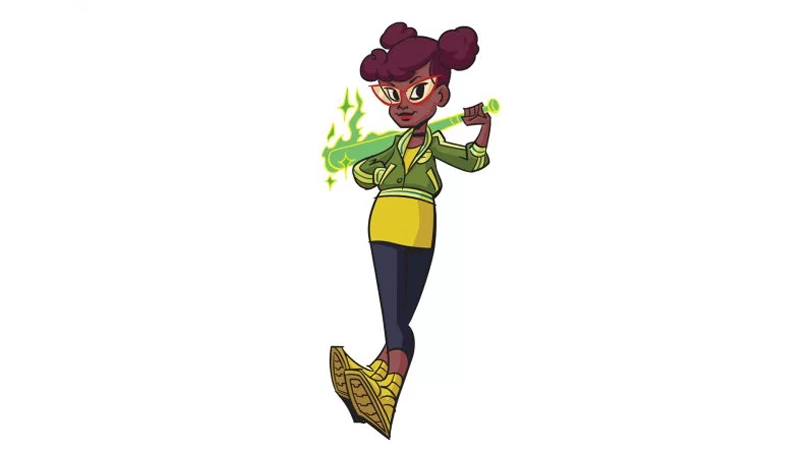 Nick’s new animated take on the heroes in a half-shell, Rise of the Teenage Mutant Ninja Turtles, made waves last year when it announced that its version of Turtle sidekick April O’Neil would be African American. Today, we have a first look at her and the rest of the team in action. The TMNT Facebook page held a big announcement this afternoon to reveal new info and art. 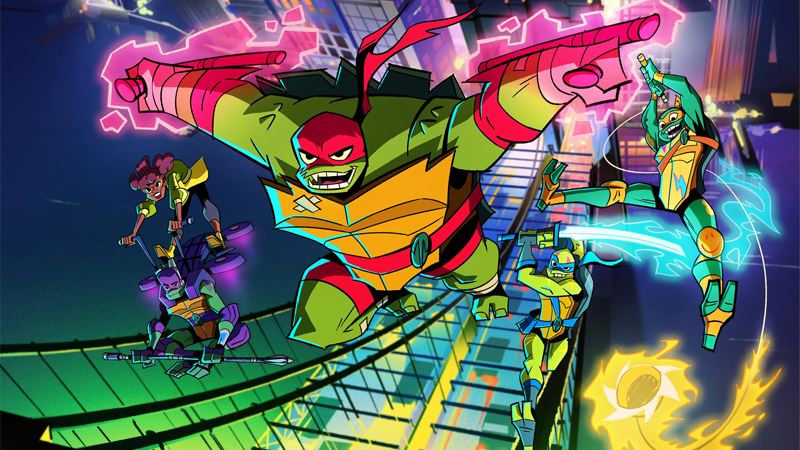 Kat Graham will voice the character when the series debuts later this year, alongside Josh Brener, Omar Miller, Brandon Mychal Smith, and Ben Schwartz as Donatello, Raphael, Michelangelo, and Leonardo—who you can also see with their wacky redesigns above—respectively. As ever, Graham’s April will be one of the first humans the turtles encounter, becoming a firm ally and their guide to the weird world above the New York City sewers. Although this marks a first for April in animation, whether or not this is the first ever African American interpretation of the character as part of the wider TMNT mythos has long been a question of debate. Some fans saw the earliest versions of April, as seen in Kevin Eastman and Peter Laird’s original comics for Mirage, as being depicted as darker skinned and potentially African American or of mixed-race heritage, before the character evolved into the red-haired Caucasian iteration that went on to appear in the animated series. Eastman and Laird have also had a history of disagreeing about April’s heritage in the original comics—Laird always saw the character as white, and Eastman has said she was originally modeled after his then-girlfriend and eventual wife, who was African American. But even aside from the muddled origins of April in the comics, Rise of the Teenage Mutant Ninja Turtles’ April marks a pretty major first for the Turtles’ animated oeuvre. 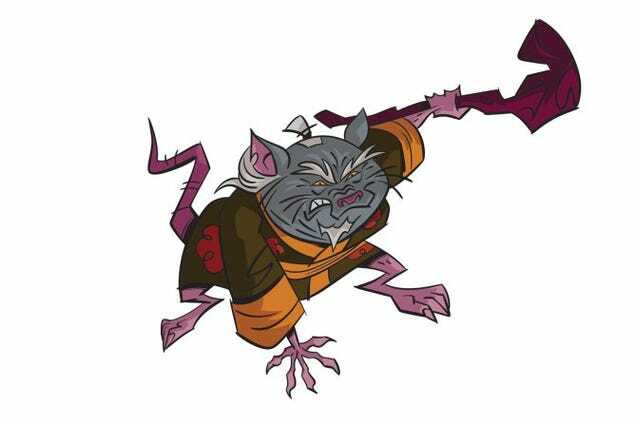 And, in case you were curious, today also brought a glimpse of one more non-turtle character from the new series: Splinter. They need to let this franchise go. Ironically, it is often best for them to remain where they are comfortable – out of the spotlight – where the natural confidence prevalent in Architects as they work with the familiar can serve as its own beacon, attracting people, romantically or otherwise, of similar temperament and interests. (02-04-2018, 03:35 PM)Maiko Wrote: They need to let this franchise go. Extremely might me an overstatement. Their a shadow of what they used to be. But this is the 4th "revamp" they've gotten since the 90s. Um, let her go? they need to revamp the series but maybe in a uh, more planned way? like get the young justice, avatar the last airbender, those kinds of writers to write some compelling plotlines and revamp. also animate it better than this pointy mess. additionally, they need to let april be hot instead of some weird nerd hoe. they just aren't DOING what this series needs to be DOING at this time. this is overall related to how cartoons (and even anime) are so shite these days. why is master splinter obese? everyone else is looking SKINNY and hes the one round one. this is something I can get behind! TMNT are BOOKED and BUSY. POPFN is Good for You, Bae.